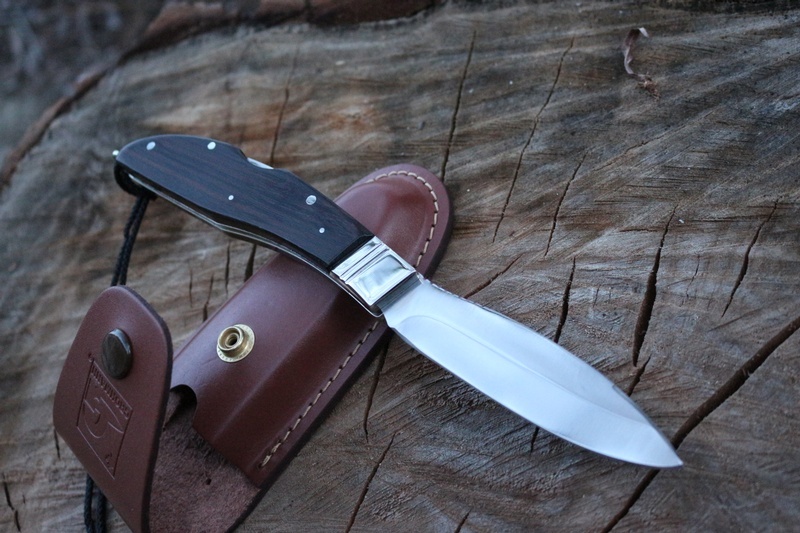 Large heavy duty version of the EDC Small Russell Lockback folder this is a very well made and ergonomic back up knife, a classic larger folder since its inception in 1963. 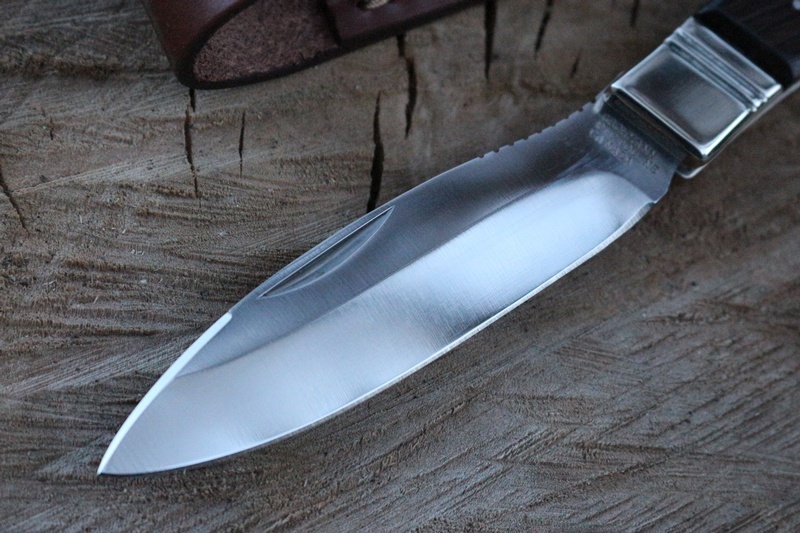 Robust and traditional quality, the knife has full Nickel Silver liners and Pins and bolsters and a large pivot arm for lock-up. 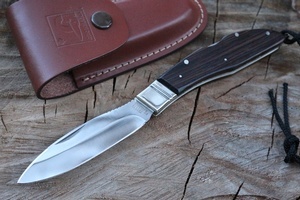 The knife has Rosewood slabs and the leaf shaped Classic Canadian blade is of German 4110 Stainless steel to 58HRC. 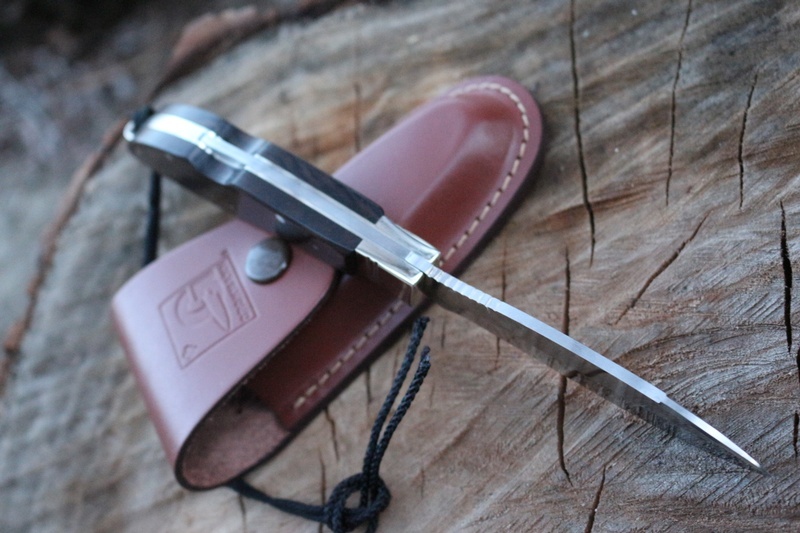 Excellent knife around the camp, food prep and whittling. 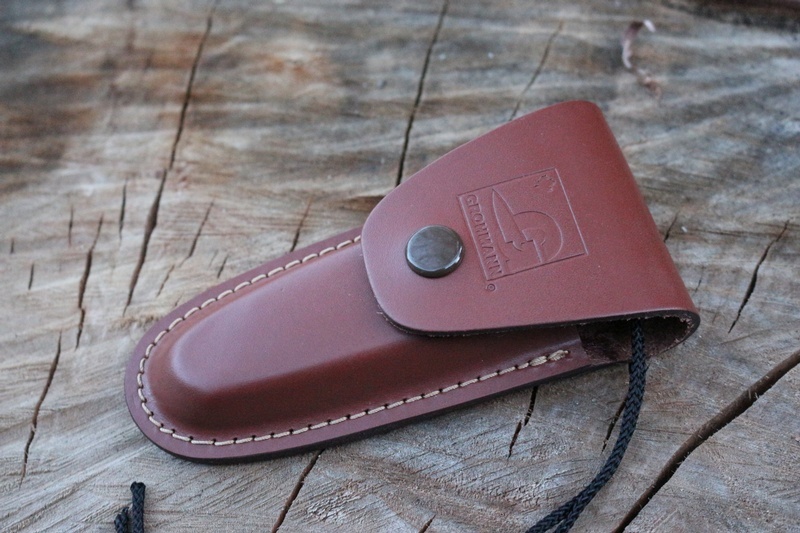 When in the field, its always a good idea to have a folder on your belt, it won't take up a lot of room or weigh you down, and they can be a very useful item indeed! Blade 3 7/8th amd 3mm thick. Steel is German 4110 Stainless to 58HRC. Grind is approx approx 20 deg and would work very well with these..
Purchase through PayPal by using the "Add To Cart" button above or use the form below to order the Grohmann Knives Russell Lockback Large . Feel free to contact us if you have any questions about the Grohmann Knives Russell Lockback Large .